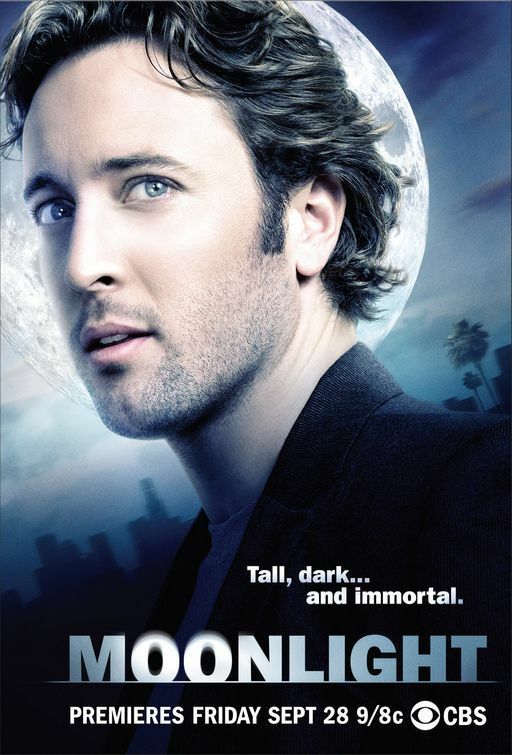 Well, I know that it is not really the same thing at all as Jake 2.0 (there are no nano-robots in Chuck, well, not yet anyway) but essentially in both series you have a geeky guy (who is clearly not a geek in real life as he is pretty buff under those ‘nerdy’ t-shirts) thrust into a life of espionage-type adventures and then hilarity ensues. 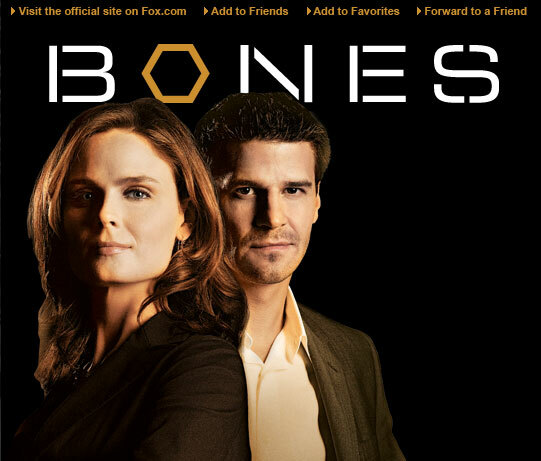 But despite my reservations, I have to say I am really enjoying this new show. 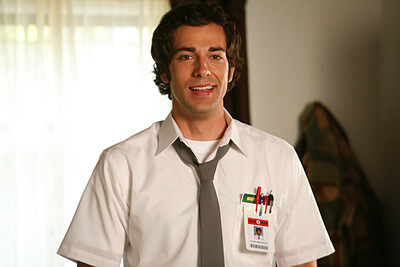 The eponymous Chuck Bartowski (played wonderfully by Zachary Levi) is the perfect balance of cute/sensitve and witty/funny/nerd. His best friend, Morgan, is spikey, funny and a complete geek which I love (being a geek myself) and just a tad little too clingy to his bessie mate. His sister, played by Sarah Lancaster (Margorie!) is pretty, as nosey as a sister should be and has an hilariously ‘perfect’ boyfriend nicknamed Captain Awesome. 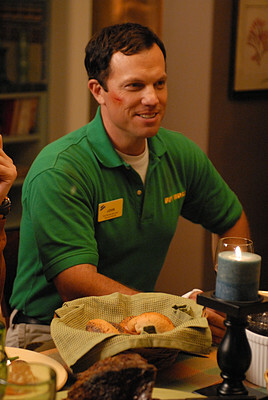 Adam Baldwin (Buffy and Angel alum no less!) is a complete sweetheart as the NSA agent even though he is meant to be a bit of a surly badass. And the lead girl, Sarah, played by Yvonne Strahovski, is refreshingly oridinary-looking and real (although I admit she scrubs up quite well). We have only watched the first four episodes (it has just started being shown on Virgin 1) but I look forward to seeing it each week which is usually a good sign. 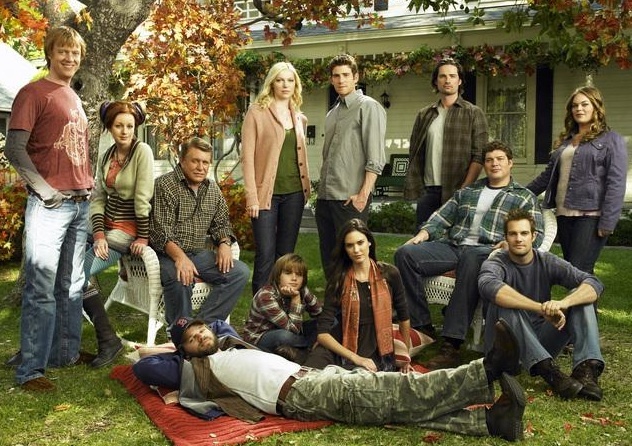 I am glad it has been renewed in the US as there is nothing worse that getting invested a show only to find out it has just been cancelled (I am looking at you, ABC – October Road was a good show! ).